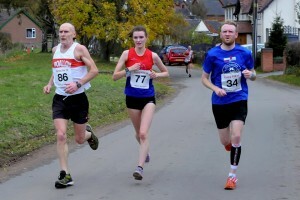 Sophie Goodfellow raced in Sundays Flying Fox 10 Mile road race held over a hilly course from the village of Standon. Going into this final race in this years North Staffs Road Runners Association, Sophie was leading the top Ladies group L and was looking to improve on her finishing position (4th) from Alsager 5 back in February. Competing over 10 miles for the very first time Sophie ran a confident and mature race to finish 2nd Lady overall (68:26) and as first Lady in the NSRRA group L, thereby securing overall victory in the league this year and becoming 2018 Ladies Champion despite only turning 20 the day before this final race. Congratulations from us all at the club Sophie.